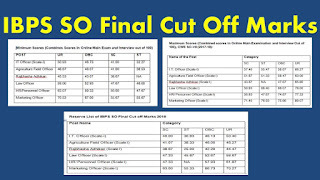 IBPS SO Final Result 2017-18 Declared: Institute of Banking Personal Selection (IBPS) Recruitment board has recently announced the Specialist Officers (SO) Final result and cut off marks those students who are attended the mains examinations conducted on the 28th January 2018 at different examination centers in all over in India. IBPS SO CWE VII Recruitment 2017-18 shortlisted candidates list are released by the IBPS recruitment board at official website of ibps.in or below we are enclosed the links for see the names list for IBPS SO Final Result 2017. 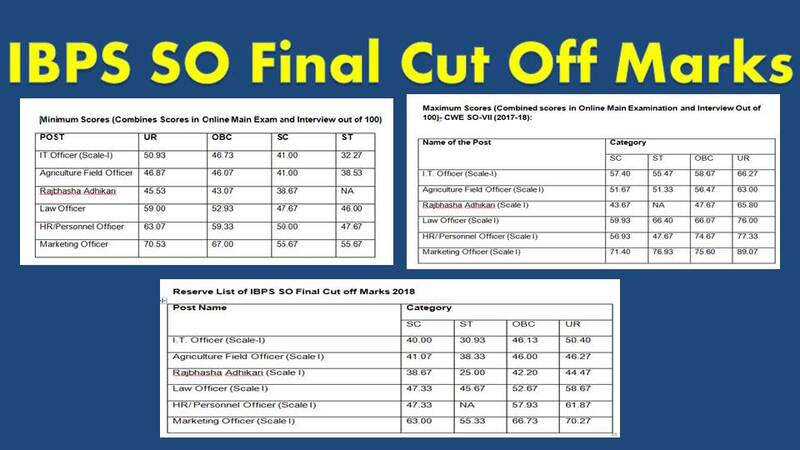 Click on the link below to view IBPS SO Final Result 2017-18. We congratulate all the selected candidates for a better career ahead as a banker.